Afternoon Sightseeing Of New Delhi Including Government Buildings, India Gate, Huyamun`S Tomb And Qutab Minar. Overnight At Hotel. Afternoon Tour Of The Pink City – Will Include City Palace, Still Home To The Maharaja Although Several Of The Rooms Are Now Open To The Public. Many Antiques And Artefacts Belonging To The Ruling Family Are Housed Here. Also Visit The Hawa Mahal "Palace Of The Winds", And The Open-Air Jantar Mantar Observatory To See The Vast Astronomical Instruments. Enjoy A Stroll Through The Colourful Bazaar Before Returning To Your Hotel. Overnight At The Hotel. Morning Drive To Bikaner (Approx 320Kms / 5-6Hours). Upon Arrival Transfer To The Hotel. 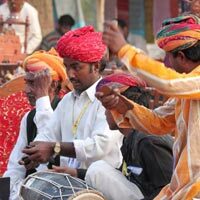 This Desert Town In The North Of The State Was Founded In 1488 By Roa Bikaji, A Descendant Of The Founder Of Jodhpur, Jodhaji. Afternoon City Tour Including The Junagarh Fort Constructed Between 1588 And 1593 By Raja Jai Singh, A General In The Moghul Emperor Akbar'S Army And Camel Breeding Farm. Overnight At The Hotel. Morning Drive To Jaisalmer (Approx 325Kms / 5-6Hours). Upon Arrival Transfer To The Hotel. Evening Is Free For Individual Activities. Overnight At The Hotel. Morning Visit The Rich And Beautiful Palaces And "Havelis" Of Jaisalmer Shimmer Against The Relentless Monotony Of The Thar Desert. Its Rulers Were Known For Their Valour, Their Beautiful Havelis And Glorious Temples. 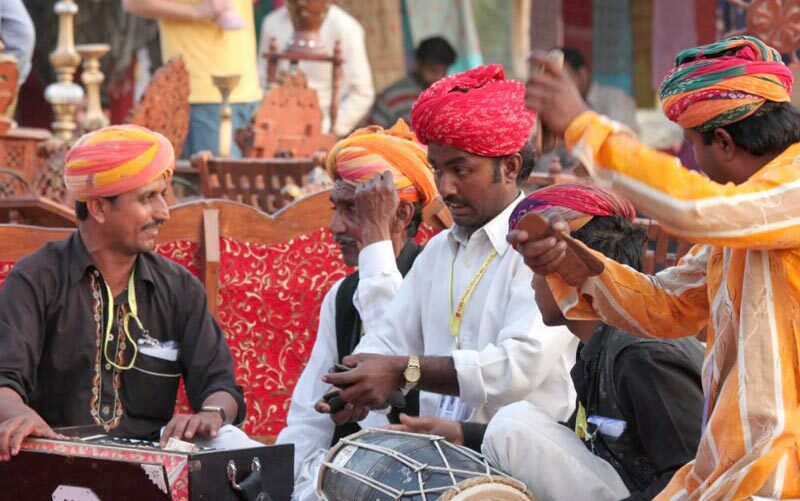 For Close To Ten Centuries Jaisalmer Has Assumed The Air Of A Virtual Art Museum. Sightseeing In Jaisalmer Include, Sonar Kila, Patwon Ki Haveli, Salim Singh Ki Haveli And Nathmalji Ki Haveli And Afternoon Excursion To Khuri For Short Camel Ride In The Sand Dunes Of Thar Desert. Overnight At The Hotel. Morning Drive To Jodhpur (Approx 310Kms / 5-6Hours). Upon Arrival Transfer To The Hotel. Jodhpur, The Gateway To The Thar Desert, The City Is Known For Its Striking Forts, Stately Palaces And Gracious Buildings. Some Of These Are Now India'S Finest Hotels. The City Was Built In 1459 By Rao Jodha Of The Rajput Clan. Afternoon Visit Mehrangarh Fort Built By The City`S Founder Five Centuries Ago, Jaswant Thada , Museum And Local Bazaar. Overnight At The Hotel. Morning Drive To Udaipur (Approx 285Kms / 5-6Hours) Enroute Visiting Ranakpur Temple Complex. Ranakpur The 15Th Century Chaumukh Jain Temple, One Of The Most Beautiful Crafted Sculpted Temples In India. Upon Arrival In Udaipur Transfer To The Hotel. Evening Is Free For Individual Activities. Overnight At The Hotel. Morning Is Free For Individual Activities. Afternoon Transfer To The Airport For Flight To Delhi. Upon Arrival In Delhi, Evening Is Free For Individual Activities.